Engelsk orakelkortlek med 44 kort och medföljande guidebok. 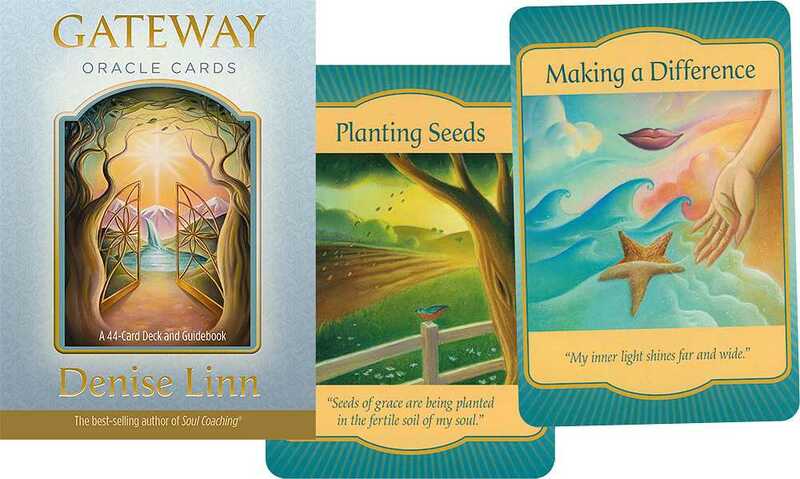 The Gateway Oracle Cards by Denise Linn, founder of the Gateway Dreaming™ Institute, are the keys to unlocking the ancient wisdom within you. They reveal a wondrous realm where you'll discover what destiny has in store for you and also learn how to give accurate, heartfelt readings to others. This deck and accompanying guidebook help you interpret the signs that are all around you, from your nightly dreams to the coincidences, synchronicities and symbols in your waking life. The Universe is always whispering to you, and the Gateway Oracle Cards assist you in understanding these secret messages from the realm of Spirit. An enchanted voyage awaits you. The keys through the gateway are in your hands!